Experience the beauty of Napa Valley wine country! Take in the countryside while sipping on award-winning wine and bask in the California sunshine. With over 400 wineries, you’ll never run out of unique vineyards to explore! Enjoy unique wine tasting experiences, tours, stunning views, and more! Use our guide below to help you experience the best wineries in Napa Valley! We are dedicated to helping you find the perfect wineries to visit during your stay. Peruse our list of local wineries by region or “appellation”. If you want to know more about the best wineries in Napa Valley, our knowledgeable staff would be happy to help answer any questions! Are you looking for a place to stay during your wine country getaway? Browse our luxurious guest rooms named after the various Napa Valley appellations! We know that planning your Napa Valley itinerary can be daunting, check out our responses to Napa Valley FAQs below! Where Are the Best Wineries in Napa Valley? Take a Look! Atlas Peak is a visually stunning appellation known for its rough terrain and high elevation. This region is home to a dozen different wineries and produces savory wines including Cabernet Sauvignon, and award-winning Zinfandel. Atlas Peak is the perfect spot to enjoy the cooling mountain breeze and seek refuge from the heat. Visit Jarvis Estate and explore the country’s first underground winery or sip hand-crafted wines at Elan Vineyards! Some of the best wineries in Napa Valley can be found in the Carneros wine region. This appellation boasts 8,000 vineyard acres with more than 20 wineries and produces excellent Chardonnay, Pinot Noir, and sparkling wines. Witness the springtime fog blanket the local vineyards and enjoy the breezy climate this topography offers. The rolling hills of Howell Mountain offer gorgeous scenery and an off-the-beaten-path experience. Explore the appellation “just above the fog” and venture down the winding road that leads to this hidden oasis. Excite your palate with celebrated Cabernet Sauvignon and delve into the best wineries in Napa Valley. Spend the day immersed in winemaking history with a Vintage Tour and Tasting at Seavey Vineyards! This rugged appellation is known for its excellent Cabernet Sauvignon, Chardonnay, and Syrah. Mt. Veeder fruit is drenched in sunlight and intense in flavor. Delight your taste buds with Executive Chef Chad Hendrickson’s Tour of the Palate at Hess Collection Winery. Throughout this unique wine tasting experience, you will taste three current release wines skillfully paired with Hendrickson’s exceptional dishes. Most notably recognized for its towering palisades, Stags’ Leap is located along the historic Silverado Trail. You can’t visit this wine region without sampling its world-renowned Cabernet Sauvignon! Spend the day at Stags’ Leap Winery and appreciate 19th-century architecture, beautiful gardens, and elegant wine. This appellation is home to some of the state’s most iconic wineries and is recognized for its abundant sunlight. Visit Hall Napa Valley’s Rutherford location for a guided adventure through the 100-year-old Sacrashe vineyard and taste some of their outstanding small-lot wines paired with delicious small bites. Enjoy a complimentary glass of Chardonnay when you arrive at the Staglin Family Vineyard for an estate tour and tasting! Explore Chiles Valley for a tranquil and secluded experience in the countryside. This appellation produces impressive wines including Zinfandel and Cabernet Sauvignon. Enjoy an intimate wine tasting at the Volker Eisele Family Estate surrounded by vibrant pastures and greenery! Referred to as the “sweet spot” of Napa Valley, this region produces a perfect blend of sugar and acid in its sought-after Chardonnay. Regularly cloaked in the fog that rolls off the San Pablo Bay, this new appellation draws the attention of some of the best wineries in Napa Valley for its exquisite fruit. Coombsville is an up-and-coming area with a temperate climate and Napa Valley’s hidden gem. This district is known for growing rich red wines including Cabernet Sauvignon, Merlot, Chardonnay, and Pinot Noir. This appellation sits just above the fogline and provides magnificent views of the valley. Some of the most fun Napa wineries can be found in this region. If you’re looking for jaw-dropping vineyard views, stop at Sterling Vineyards. Embark on a one-of-a-kind solar-powered aerial gondola ride to its hilltop location. Then, explore the vineyards on a self-guided tour, or peruse their gallery! If you are looking for a remote area decorated with hidden vineyards and meadows, Spring Mountain should be added to your Napa Valley bucket list! 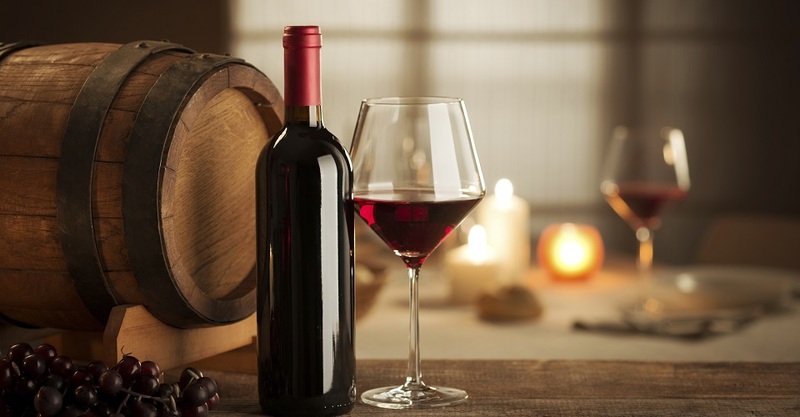 Sip on world-famous Cabernet Sauvignon and Merlot and experience for yourself what all the fuss is about. Enjoy a tasting experience immersed in history and winemaking secrets at Barnett Vineyards! The Oakville region is recognized for its enviable climate and stellar Cabernet Sauvignon. Family-owned wineries populate this reputable appellation with some of the most beautiful wineries in Napa Valley. Soak up some sun on the lovely patio at Cosentino Winery, or set out on an enlightening excursion around Groth Vineyards! Located in the heart of Napa Valley, the Yountville region produces elegant Sauvignon Blancs and Cabernets. There is no shortage of amazing food and wine in this stunning appellation! Feast on a delicious brunch at Domaine Chandon, or sample wine surrounded by breathtaking art at Jessup Cellars! Experience a sun-filled day in this historic and innovative location. Home to some of the greatest winemaking talent, St. Helena is the perfect place to explore the best wineries in Napa Valley! Get transported back to the prohibition era and tour the beautiful grounds of Beringer Vineyards, or sip remarkable Cabernet at Corison Winery! What are the best wineries to visit in Napa? A: Churchill Manor is a short distance from a number of excellent wineries including Blackbird Vineyards, Spotted Owl Vineyards, and more! What are the most beautiful wineries in Napa? A: There are no shortage of beautiful wineries in Napa Valley. It is impossible to visit a winery that won’t offer gorgeous scenery for you to enjoy! Do you need reservations for Napa wineries? A: It is always a good idea to plan ahead when visiting wineries in the area. Consult the property’s website to make a reservation. A: Napa Valley is beautiful all year-round and each season offers a diverse experience. Winter: Although Winter is the slowest season, you’ll get the most personalized attention from the staff at the wineries you visit with most being open year-round. Spring: Spring is very busy, but incredibly beautiful. There is no better place to witness Napa Valley explode in springtime color than at a local vineyard! Summer: Summer is extremely busy, but the weather is fantastic and there are plenty of wineries to go around. Fall: During harvest season, Napa Valley is enveloped in vibrant colors. You can admire the Fall foliage and participate in a grape stomp! 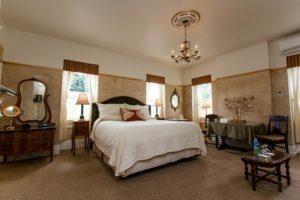 Enhance your Napa Valley getaway and stay with us at Churchill Manor! Our elegant rooms are the perfect place to relax after a day exploring the local wineries! Stay in Atlas Peak, a charming room with vineyard inspired decor and wake up to a delicious three-course breakfast. Check our availability and book your stay now! Use the following interactive maps to help plan your wine country experience.